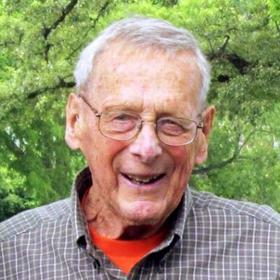 George Bernard Leopold passed away peacefully, on August 7, 2018, at his home in Racine, Wisconsin. 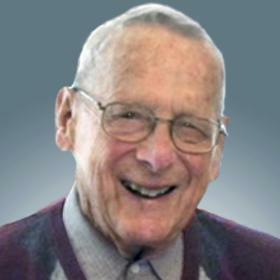 He was born January 15, 1922 to George and Anna (Hamerlindl) Leopold in St Paul, Minnesota. George was the second of seven children. 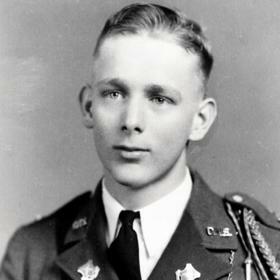 George graduated from St Thomas University in 1945. He was a veteran of World War II. 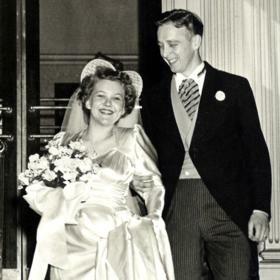 He married Vonnie May Peterson on September 29, 1945 in Minneapolis, Minnesota. George will be greatly missed by his children, John Leopold (Jan) Fond du Lac, WI; Mark Leopold (Theresa) Racine, WI; Paul Leopold (Patti) Broadview Heights, OH; grandchildren Megan Leopold Mazurak (Greg); Matthew Leopold (Sarah); Adam Leopold; Jennifer Delmore (Matt); Brad Leopold (Jamie) ;Nathan Leopold (Kate); Scott Leopold (Brittani); Steven Leopold (Christy) and great- grandchildren; Logan, Madelyn, Beckett, and Griffin Mazurak; Cora and Nicole Leopold; Aiden and Dylan Delmore; Emma Leopold; Noah and Jack Leopold; and Nora Leopold; and brother Dan and sisters Marjorie, Ann Marie, and Joann, living in Minnesota. George was preceded in death by wife Vonnie, his son Gregory, sister Betty, and brother Thomas. He treasured his nieces and nephews, extended family and countless amazing friends. George retired in 1981 after 38 years with 3M. George spent his entire career with the company in a variety of managerial positions. He truly loved “The Mining” as he called it and to his last days made sure he used only “Scotch Tape”. George and Vonnie retired to the Colorado Rocky Mountains where they started a new adventure. He became a great outdoorsman and a lover of nature. The beauty of their home on the Williams Fork River became an annual destination for the family and grandkids. Fly fishing, white water rafting, horseback riding, hiking, skiing, hunting and so much more were enjoyed by all on these annual treks. 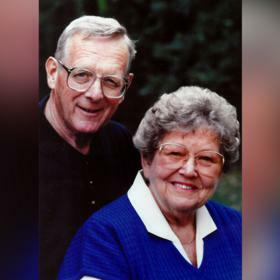 After 27 years in the mountains George and Vonnie moved to Racine, Wisconsin to be closer to the family. Never allowing himself to be idle, George filled his life with community volunteer work. He volunteered for; Senior Companions, My Ride, Ridgewood Senior Care Center, Meals on Wheel’s, The Lighthouse Volunteers and senior tax assistance. He was an active member at St Rita’s Parish. George had the gift of gab. He loved to tell a good story and yet he was a great listener. He made everyone feel special and loved. He sent countless birthday cards, thank you notes, and words of encouragement. George loved to hunt and shot his last deer at 95 while hunting in Tennessee. The family wishes to thank the doctors, nurses and staff of the Ascension Medical Center, Ascension Home Hospice Care and Home Instead for their exemplary professional and compassionate care of our father. The Leopold Family invites those who knew and loved George to a celebration of his life which will take place at 11:00 a.m. Tuesday, August 14, 2018 at St. Rita’s Parish, 4339 Douglas Avenue. Friends may call at St Rita’s Parish before the service from 10:00 to 11:00.a.m. In honor and celebration of George, memorials are appreciated to Senior Companions and the My Ride organizations. Please remember George by doing an unsolicited act of kindness for someone in need. His family loved him dearly and will never forget his example of strength, kindness, and grace.